Our product range includes a wide range of fully automatic liquid filling machines. 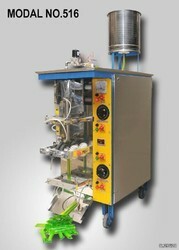 We are among the recognized names in the industry for manufacturing and trading Fully Automatic Liquid Filling Machines. The offered machines are used for filling of liquids in dairy and beverage industries. These machines are known for their high speed, accuracy, resistance towards corrosion, low maintenance and high tensile strength. The offered machines are energy efficient as well. Looking for Fully Automatic Liquid Filling Machines ?